The need of Oil and Gas production becomes more and more interesting, as the consumption in countries like China, India some other African countries rises constantly, but also Western Europe, USA and Russia consume significant more Energy than 15 or 20 years ago. The worldwide Oil reservoirs are massive, however, we need to keep in mind, that with the technology we currently have we need to leave approx. 50% down in the ground. To keep up with the constant growing consumption of Oil and Gas, the development of new field becomes necessary, however, old and marginal fields need to be upgraded and modified to earn the maximum out of it. The early Oil production about 100 years ago started always with light oil, it just came out of the ground when they drilled the deep wells, that’s what we are used to when we look at old photos which show a “Blow Out???. To find new oil reservoirs with light oil now is quite seldom, most of new developed Oil fields produce heavy oil. The production of heavy oil is more elaborate, and it is mostly lower than on light oil fields. Many additional equipment has to be installed to get a satisfying production rate. The technologies like e.g. 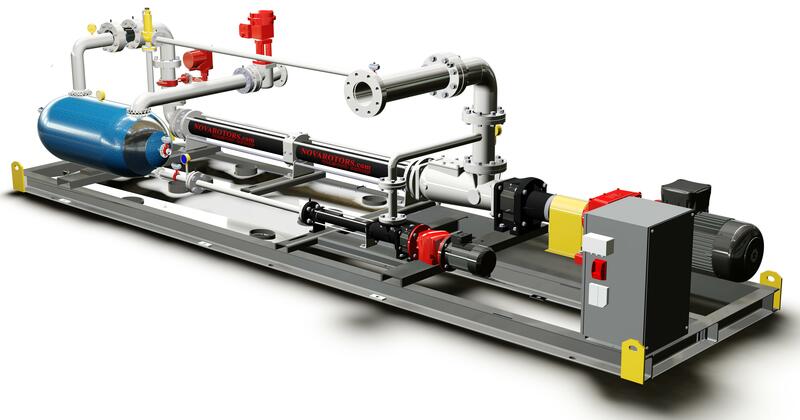 polymer- water- or steam-injection, gas lifting or artificial lift due to adding down-hole pumps at the well, and multi-phase pumps on the surface, require really tough pump designs, which need to cover a wide range of temperature and pressure, as well as chemical resistance. 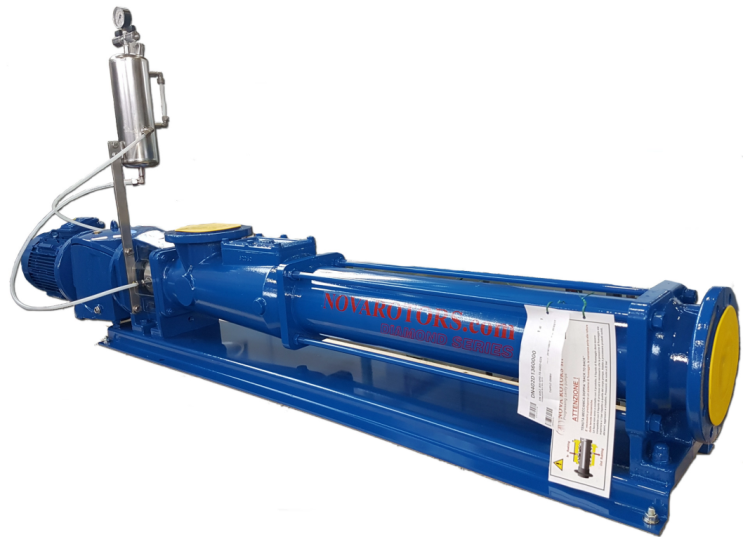 Since the mid 80’ the Oil Industry uses Progressive Cavity Pumps for several different kind of services. 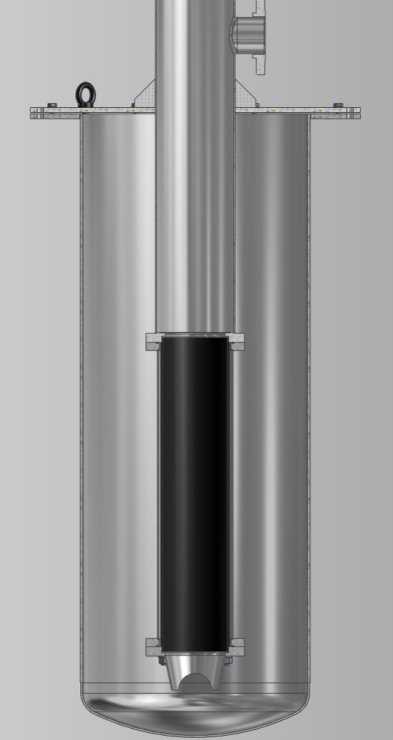 The unique feature of Progressive Cavity Pumps, just like, gentle handling at Oil/Water Separation, constant flow at various pressures and viscosities, low NPSHr. 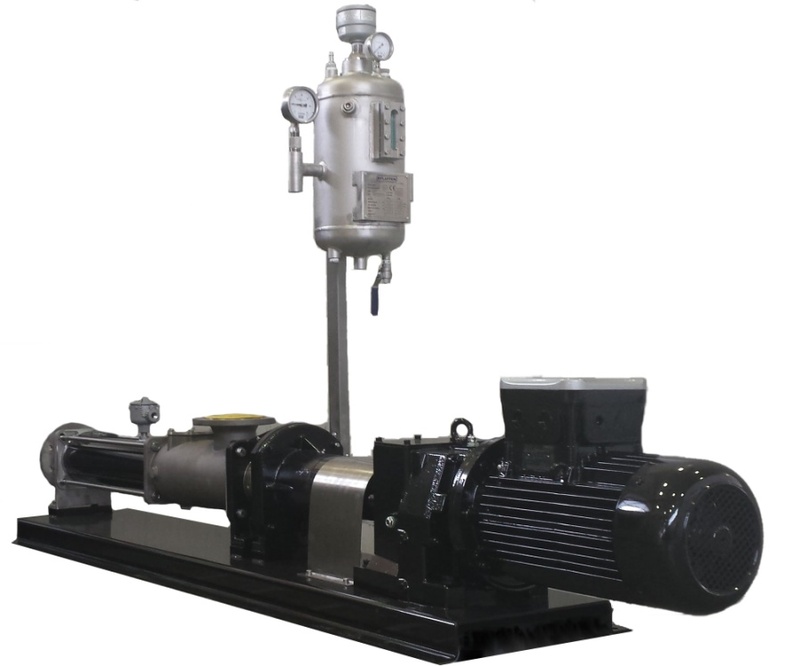 These pumps are very forgiving vs sand and other none welcome particles, ability to handle gas, makes this kind of pumps essential at many stages of the production of Oil & Gas. The general guideline for the design of these pumps is the API 676, 3rd edition, which covers rotating positive displacement pumps, the Category Progressive Cavity Pumps belong to. 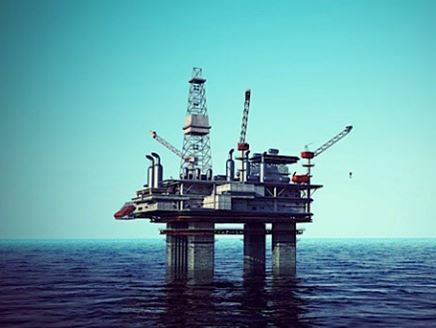 Nova Rotors has been operating in the Oil & Gas industry for over ten years providing the best possible solutions, a wide range of products, services and expertise to find the most suitable configuration based on the customer’s specific requirements. The various testimonials received from our customers both in Italy and from around the world over the years attest to the commitment of a dynamic company focussed on meeting constantly growing market demands. 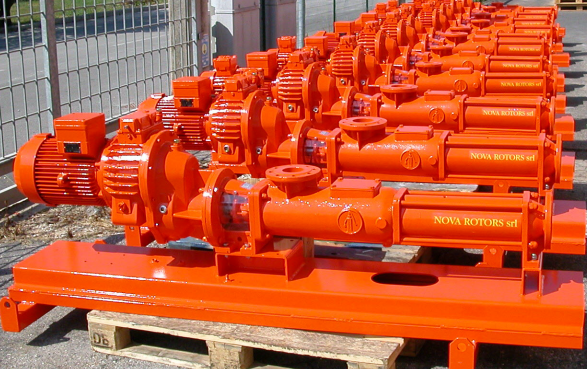 Nova Rotors progressive cavity pumps are developed scrupulously in compliance with the strictest industrial standards to guarantee high standards of quality, reliability and durability. 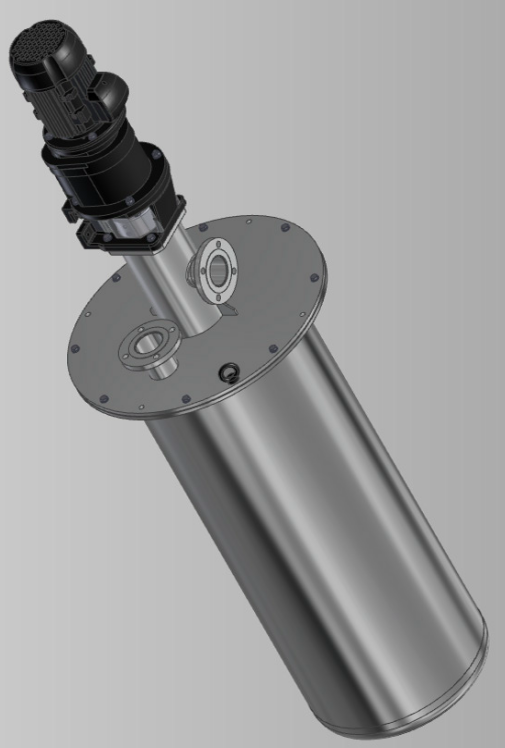 They provide the best solutions in all the storage, feed and discharge stages that operate with low and high viscosity fluids, with materials containing fibres, adhesive substances or lubricants, products with variable temperatures, typical at Oil-Production, Refinery’s and Petrochemical Industry. Special attention has been given to the development of the most appropriate construction and arrangement types based on use in each part of the plant in order to optimise each and every transfer. 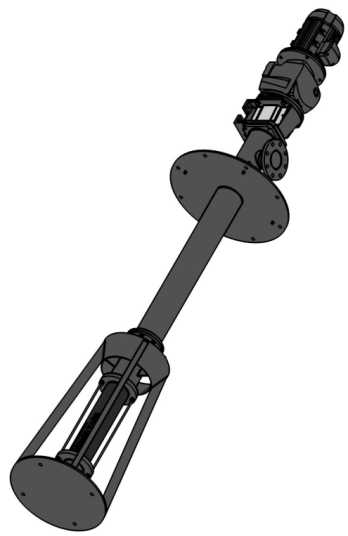 Standard model equipped with hopper and auger feed screw to move the product to the hydraulic part. Suitable to convey the Bentonite and Drilling Mud, as well as Cuttings. DH pump for conveying cuttings at the drilling mud handling skid. DN pump used for transferring the drilling mud to the high pressure pump. DN pump used for recovering the mud. DN pump to feed the separator. 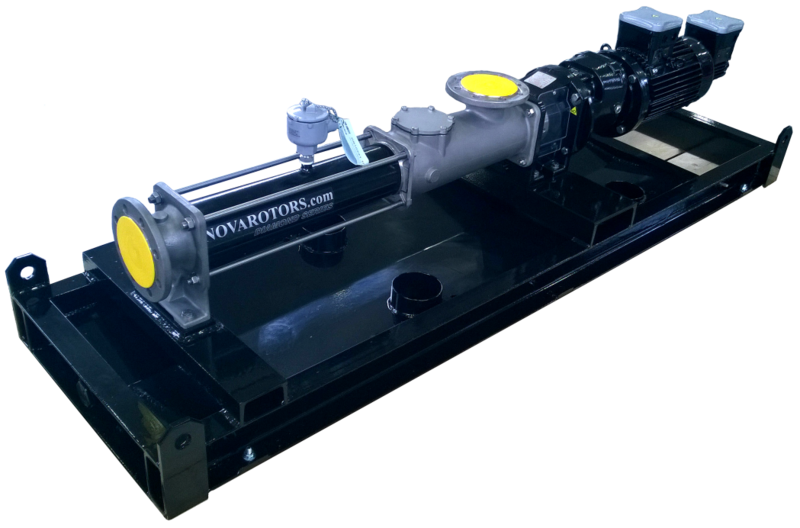 The gentle handling of Novarotors-Pump ensures high efficiently of separator. DN pump used for tansferring the oil from the separator. DV pump for Open Drain application. 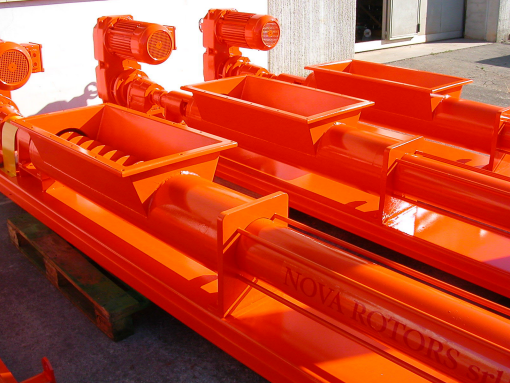 Novarotors Pumps are able to handle very low NPSHa application, vertical pumps have a NPSHr of 1.2m or less. DN pump used for closed Drain Application. Also the horizontal pumps can be sized to handle a NPSHa of 1 .0m. 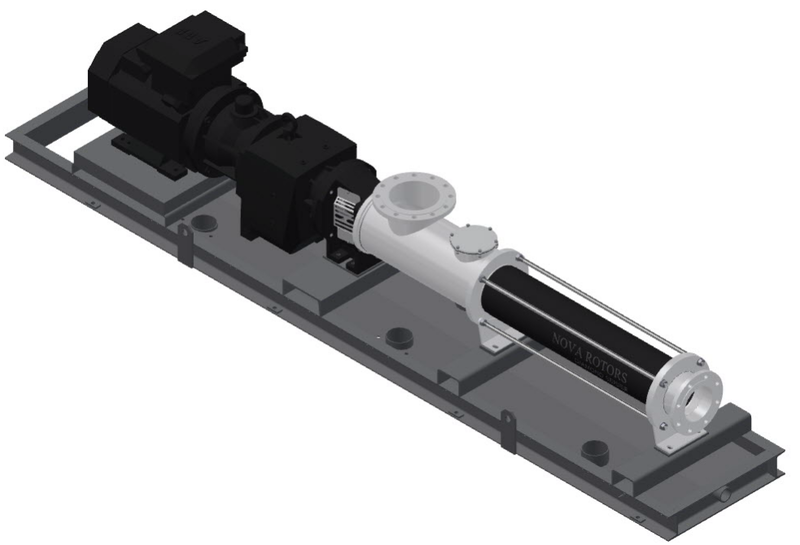 A canned DV pump designed for very low NPSHa.The NPSHr can be designed for 0.5m upon request. DN pump Installation for crude oil transfer. These pumps mostly are located somewhere between in the field, at booster station or just as stand-alone unit, transferring the crude oil down stream. SN pump for Russia. They handle the various viscosities. Due to the slow shaft speed the reliability and lifetime of the wear components rises up. MOL pumps transferring the Oil from the Gathering station. JN pump Installation for Multiphase Boosting. The single well boosting increases the production and reduces the well head pressure. The JN Pumps, installed in Algeria, have to be controlled auto remote, it is an unmanned station in the desert. Failure is not an option. 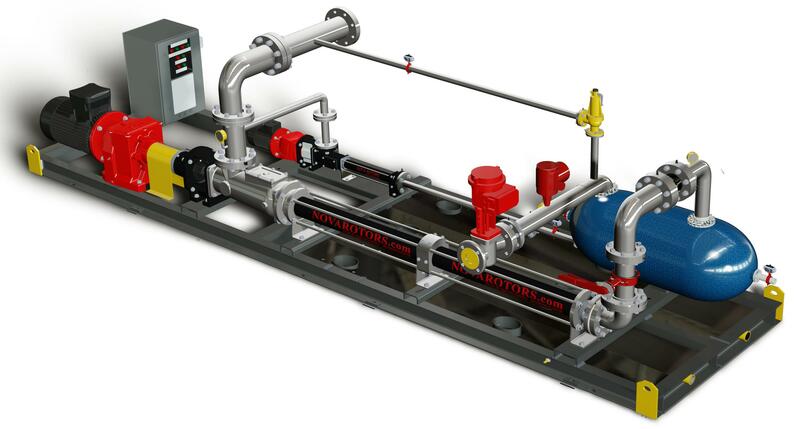 Multiphase Pump Skid including liquid hold-up tank and injection pump, suitable for Multiphase transferring with heavy oil, suitable to handle poor gas slugs of 30 minutes and more, manual or auto remote controllable.